Well now you can find out exactly what happened when the boys in black and white played on 26th August. 1 year ago on 26 August 2014 – Kick-off was delayed 10 minutes due to crowd congestion, as 12,987 saw Bafetimbi Gomis scored his first goal for the Swans as they beat Rotherham United 1 nil at the Liberty Stadium in the Capital One Cup 2nd Round. 7 years ago on 26 August 2008 – The Swans knocked Premier League Hull City out of the Carling Cup after extra time in this 2nd Round tie at the Liberty Stadium in front of 8,622. Gorka Pintado had scored the Swans equaliser but had his injury-time penalty saved as the Championship new boys made hard work of the win, as Jordi Gomez scored the winner from the penalty spot during the first period of extra-time. 9 years ago on 26 August 2006 – Leon Knight had an eventful day as missed a penalty, scored the Swans winner and was sent off for a 2nd bookable offence, as the Swans ran out 1 nil winners at Leyton Orient in Coca Cola League One. 15 years ago on 26 August 2000 – A crowd of 6,247 watched the Swans slump to their first home defeat since October 1999, as Colchester United played the Swans off the Vetch Field – despite a pitch invasion – to run out comfortable 2-0 winners in the Nationwide League Division Two. 18 years ago on 26 August 1997 – Mumbles product Jamie Harris made his debut for the Swans in this 1-1 draw with First Division Reading at the Vetch Field in the Coca-Cola League Cup 1st Round 2nd Leg. The crowd of 3,333 witnessed the 3rd Division Swans give their higher league opponents a run for their money as Jonathan Coates netted for the Swans before Christian Edwards was sent off, which resulted in a 10 man brawl! The Swans exited the competition as Reading ran out 3-1 winners on aggregate. 35 years ago on 26 August 1980 – John Toshack’s side gave a good account of themselves in the League Cup 2nd Round 1st Leg game against their more illustrious opponents Arsenal, as a Leighton James goal helped the Swans draw 1-1 in front of a Vetch Field crowd of 17,036. 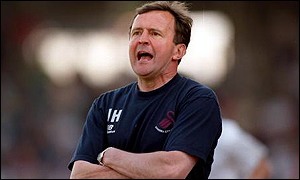 A certain John Hollins played in the Arsenal midfield for the game and who’d have thought that 18 years later he’d be Swans manager. 37 years ago on 26 August 1978 – A Robbie James double meant the Swans came away from the Manor Ground with a 2 nil win over Oxford United in Football League Division Three. I’m sure I was at the Oxford game and if I’m right it was the first time I’d been policed out of the ground (away from my car) with the use of police dogs. Funny but I’ve never fancied visiting Oxford United since!